Jadzia is a beautiful 18 year old that has a smile that will melt gold. She has always been an energetic and encouraging in the most difficult austere situations of life. 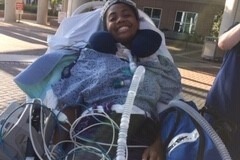 On 19 September, Jadzia suffered a massive stroke that left her in intensive care and paralyzed, unable to move her arms, legs and other extremities. Even through her difficulties and uncertainties she continue to be an encouragement to her parents and those around her. 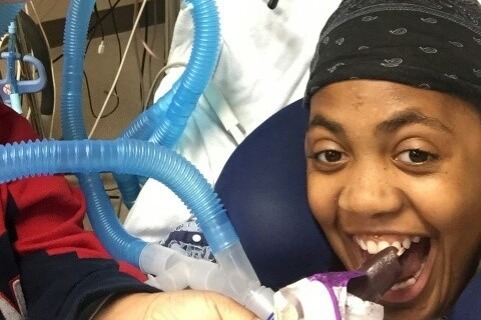 Jadzia is facing a long road to recovery that could be years to come with much therapy. 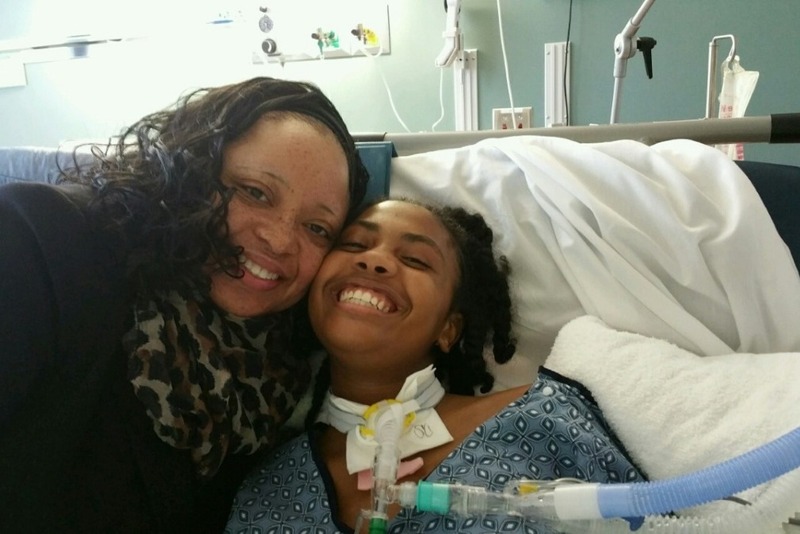 She has a tracheotomy that helps her breathe and she is having to learn to use her arms, legs and other extremities. She is a hard worker and fighter. Even though her father has insurance, it doesn't cover all of her care and also the cost of her parents having to adjust to them being at the hospital to help provide her with the care she needs. This family need your help. I can assure you, whatever you give will be a blessing to them. Her father is a public servant and has taken on a second job to help take care of his baby girl and the family, plus he's at the hospital helping take care of her so his wife can get some rest and help with the other children. I've known this family since Jadzia was a baby. They are like family to me. This fund was started with her parent's permission. 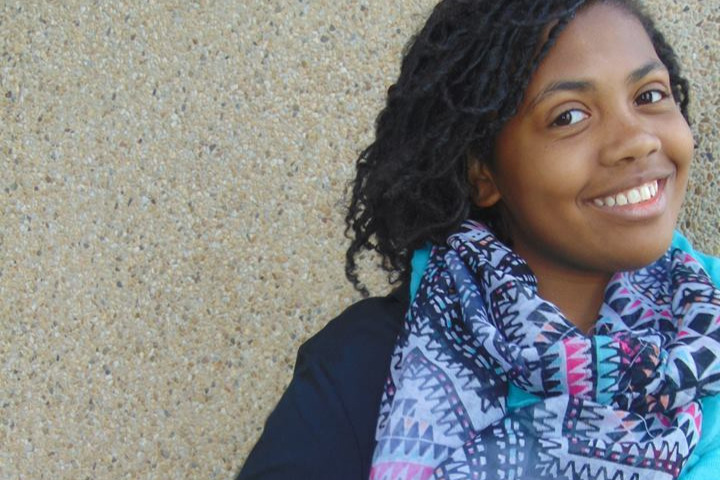 11 December - The doctor told us this morning Jadzia has been accepted at Shepherd Hospital in Atlanta. We don't know when the transfer will take place, but we believes it will be soon. I will keep you updated. Love you and thank you for your support. These are photos of Jadzia eating a popsicle, getting a kiss from her Godfather (Tikeith) and a hug from her Godmother (Stephanie). They have been there since day 1. 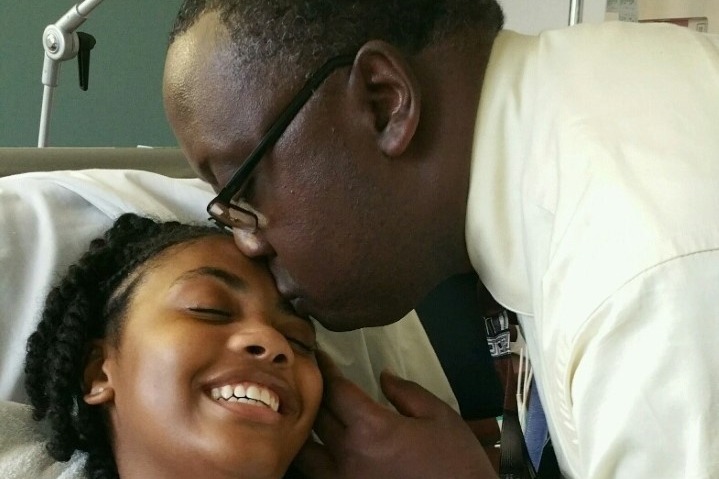 The following updates are from the beginning of Jadzia's stroke from her dad. September 21 - Jadzia is having spasms in her left hand, so that is good. Thank you for your prayers and support. September 23- Jadzia is sitting up, but with support. She has feeling in her legs but unable to move them. The doctors said that they don't believe she will fully recover, but I know GOD can do all things. We're so thankful for the prayers. September 24 - Guess who got the ok to eat a popsicle? September 27 - Today she was breathing on her own for an hour and she moved her right foot for the doctor today. Thank you for your prayers. October 3 - Today she is being moved to rehab and she moved her leg and foot for the doctor. She is also eating soft food. Thank you for prayers and support. October 6 - Today she is doing fine. She was able to touch the floor with her feet and the patient therapist sat her up in the bed. They were excited because she has some sensation and strength in her legs and feet. Thank you for prayers and support. October 8 - Today my wife called me and said Jadzia lifted her right leg ten time on her own and her left leg twice. This was a wonderful report to me. Thank you for your prayers and support. October 12 - Today she took three breaths on her own without the machine and she moved one finger on each hand. She is gaining strength to hold my hand with her right hand. God is good. Thank you for your prayers and support. November 3 - Jadzia is doing great. She can wave her hand and she is getting movement in her left hand now. We are still waiting for the hospital and insurance to come to an agreement. God has it worked out. I am working an extra job now. 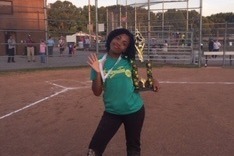 The pictures I posted from left to right is Jadzia in her wheelchair, her first day outside, and Jadzia standing with her trophy as the picture on her softball team. As I receive updates I'll post them. GOD bless each of you for your kindness, love and support. If at any time you would like to check the validity of this Jadzia's stroke and progress, please feel free to contact the hospital. As I receive updates I'll post them. Thank you in advance for your kindness, love and support.